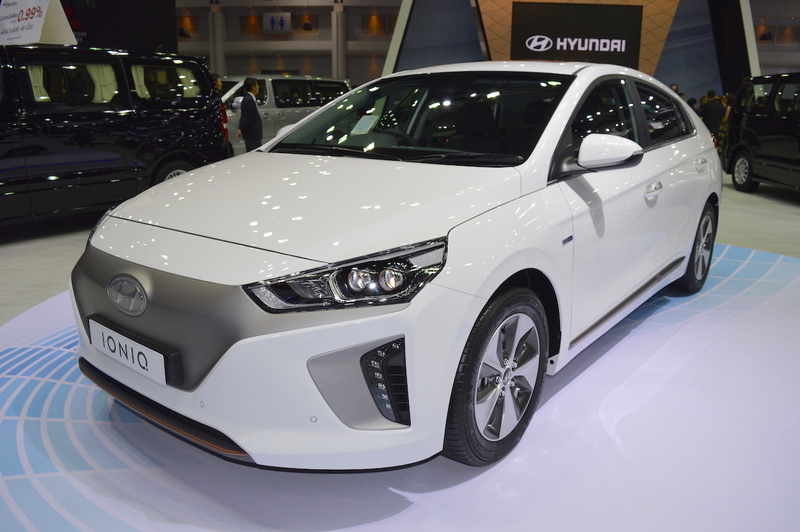 Along with the Hyundai Kona, the company will bring another product from its global portfolio to the 2018 Auto Expo - the Hyundai Ioniq Electric. The pure electric vehicle was unveiled in early 2016. The Hyundai Ioniq Electric has a driving range of 280 km. The Hyundai Ioniq is the world’s first car available with hybrid, plug-in hybrid and electric powertrains . The Hyundai Ioniq Electric is instantly recognizable as the battery-powered electric car has no front grille on it setting it apart from the other two variants. Instead, Hyundai has fitted a True Gray/Shine Gray nose cone. Black grille is available optionally for all colours except Phantom Black. The Hyundai Ioniq Electric has a unique pattern inside its LED headlamps and rear combination lamps. In addition, a copper-coloured character line below the bumpers adds to the styling and signifies Copper’s property as an excellent electric conductor. Blazing Yellow body colour is exclusive to the zero-emissions variant. Inside, copper-coloured accents are unique to this variant. Hyundai is considering the Hyundai Ioniq for India. The Hyundai Ioniq Electric is powered by an electric motor that generates 88 kW (120 PS) and 295 Nm of torque. It can reach from 0-100 km/h in 9.9 seconds and will go on to attain a top speed of 165 km/h. A 28 kWh lithium-ion polymer battery powers the electric motor and it provides a driving range of 280 km. It takes 4 hours 25 minutes to get fully charged using a 6.6 kW on-board charger. Charging the battery up to 80% using a 50 kW/100 kW quick charger takes approximately only 30 minutes/23 minutes. 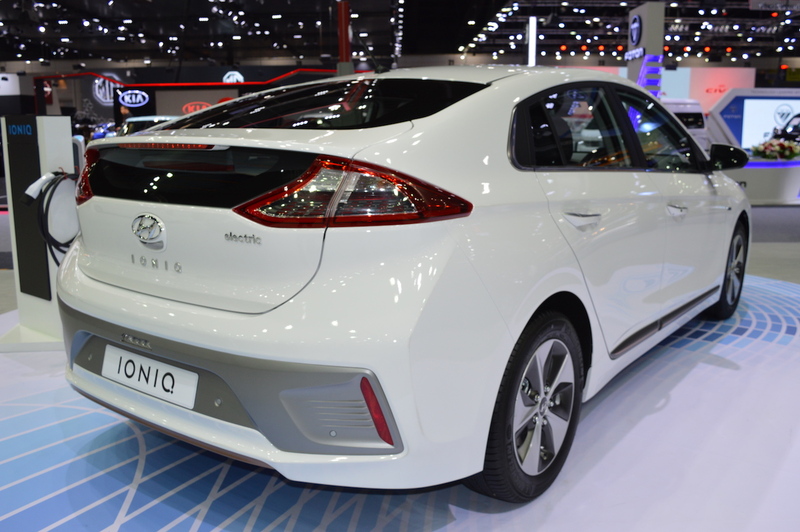 Hyundai is considering the Hyundai Ioniq Electric for India, but it will launch the Hyundai Kona Electric in 2019 as its first pure electric model in the country,.